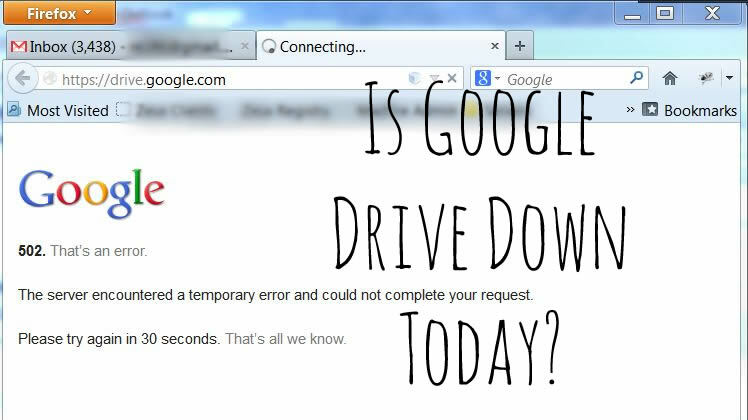 Is Google Drive Down Today or is it Just Hiccups? I’ve always jumped from my Gmail to Google Drive account in a flash but today when I tried I received the error message below. I refreshed, closed out, typed in Google.com/drive manually and it still didn’t work. I checked the “down for everyone” website where you can check to see if a site is down for others and it said “google.com” is up. I don’t think it understood that I was trying to see if /drive was alive. Anyway, after refreshing again it came to life. No worries, it was the first downtime I’ve seen with Google Drive because they are definitely reliable.